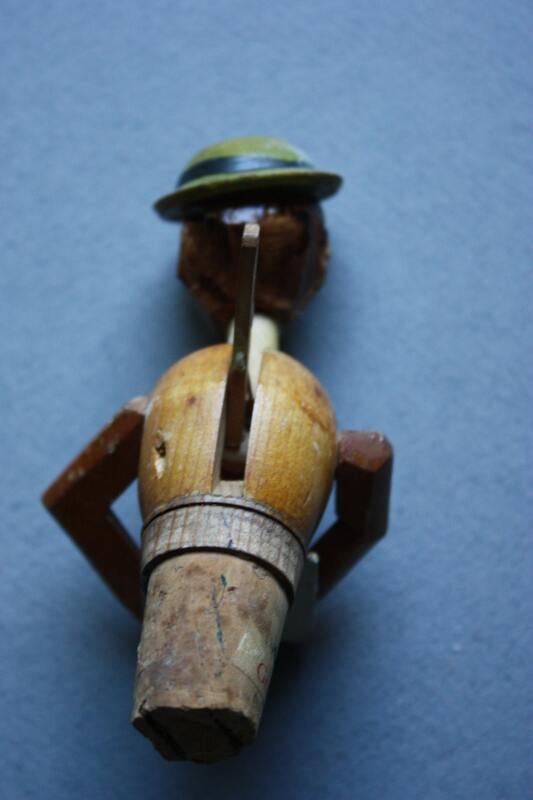 This Anri bottle stopper, almost 4.25" in height, including the cork, features a gentleman bringing his spectacles up to his eyes as he reads from a paper before him when the lever on his back is pushed down. The mechanism works well. 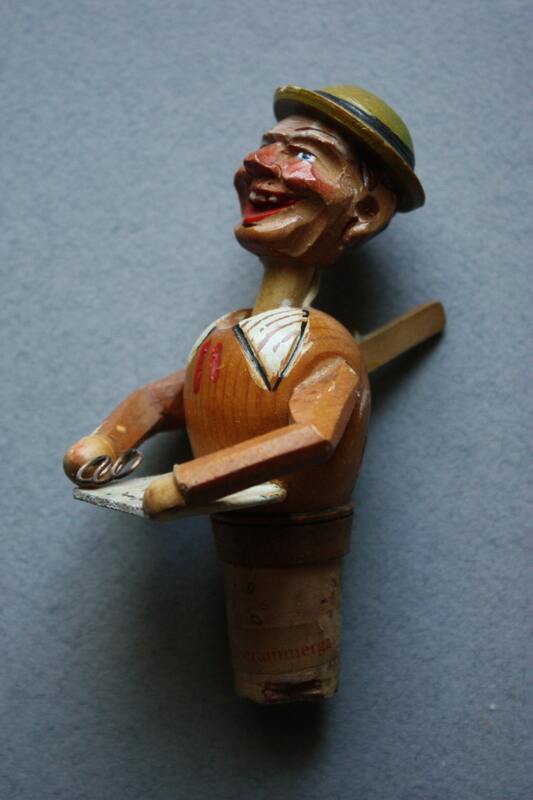 According to www.corkscrewsonline, these bottle stoppers were hand carved by individual craftsmen who sold their wares to Anri, an Italian company in existence since 1912. 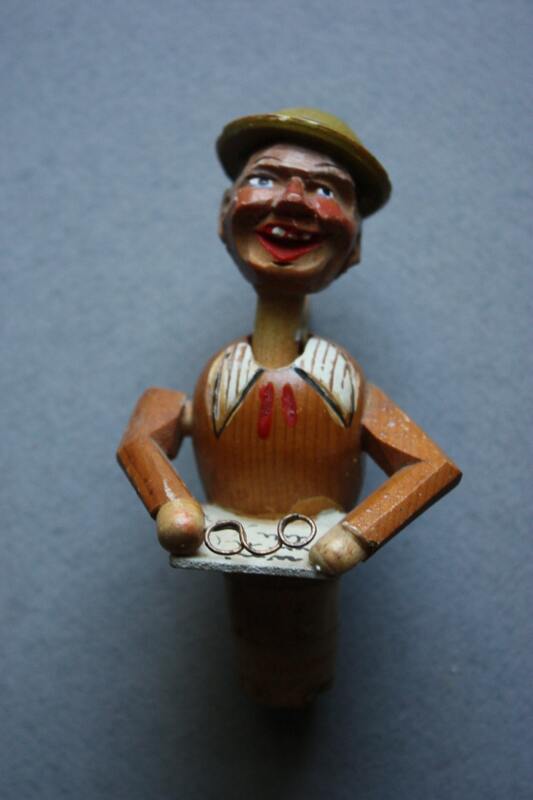 To aid in the dating process, Kovels writes that before 1952, these items were hand carved but after this date, machines were used to produce the bottle stoppers. 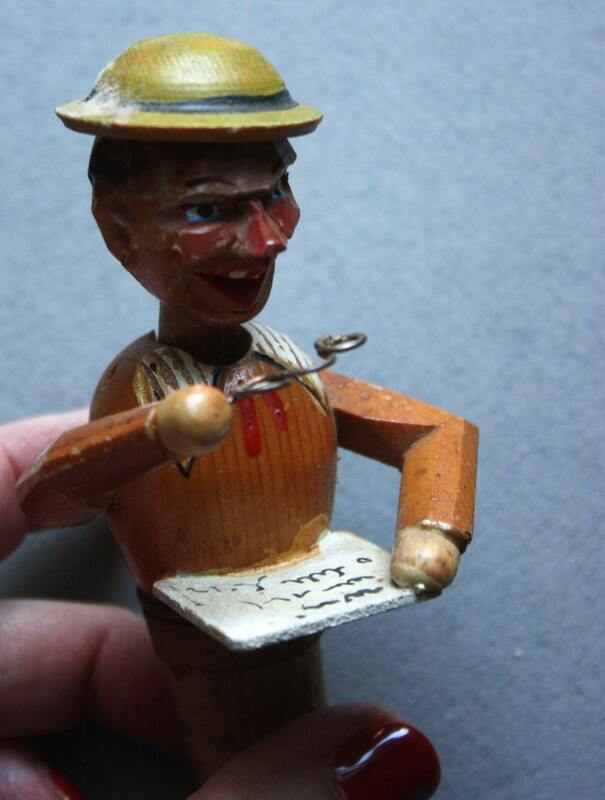 This looks to be a hand carved piece so I am dating it as being from the 1950s. 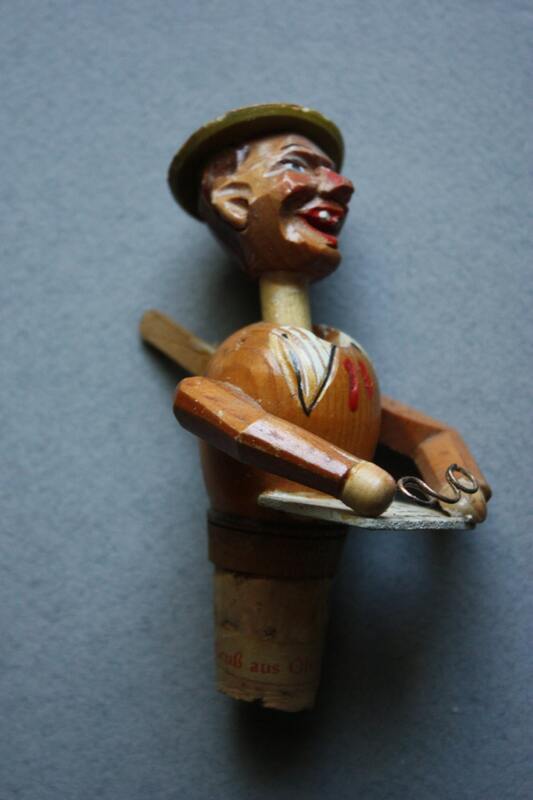 There is a label on the cork portion of this piece that says in German, "Greetings from Oberammergau," a district in Bavaria. Despite this label, I still believe this is an Anri piece as I've seen Anri bottle stopper "readers" in my research on these pieces.